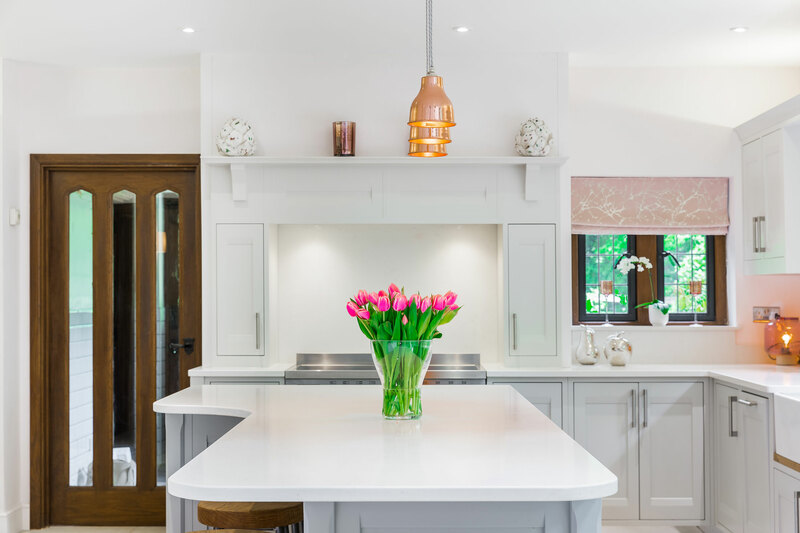 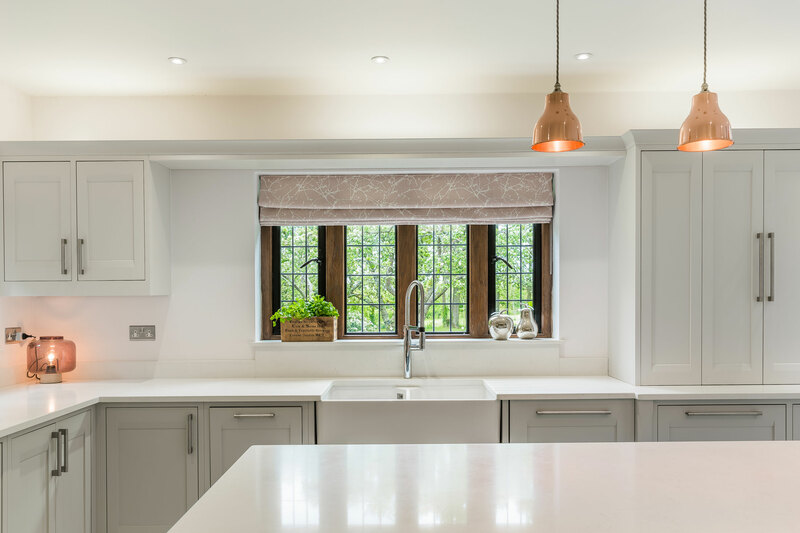 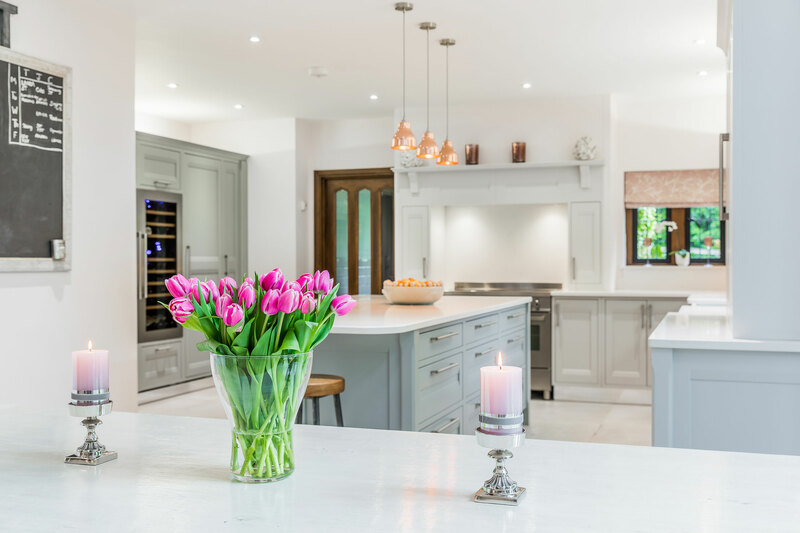 Our Small Copper Factory Pendants are featured in this modern kitchen by Zoe Price Interiors. 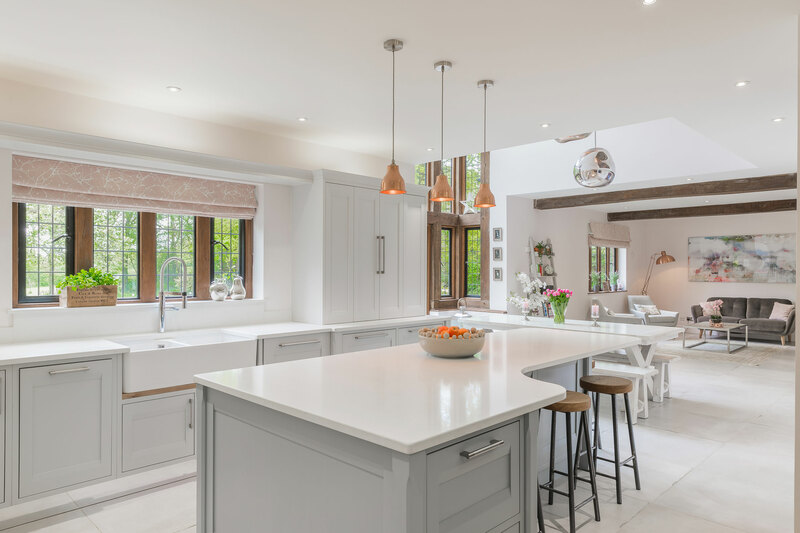 The unique pendants hang above an island, adding a hint of industrial inspired design to the modern interior. 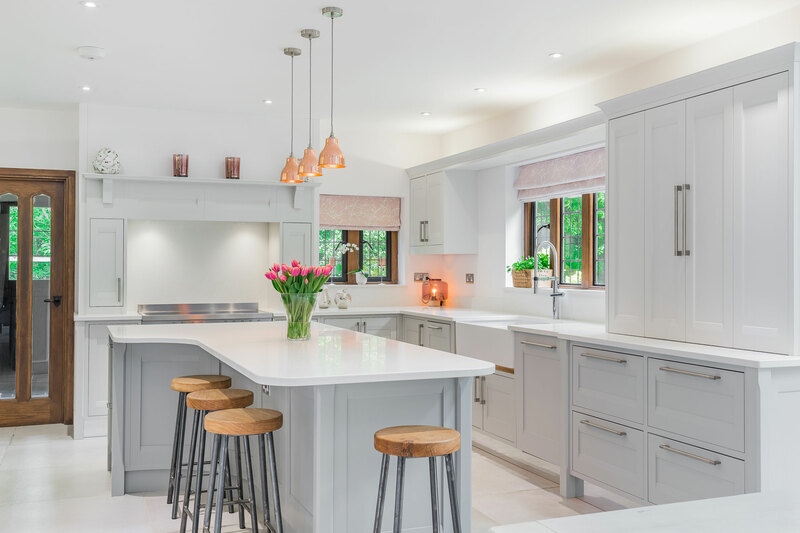 Warm copper tones in each zone complement the minimal grey and white colour scheme used throughout the bright, open plan kitchen and living space. 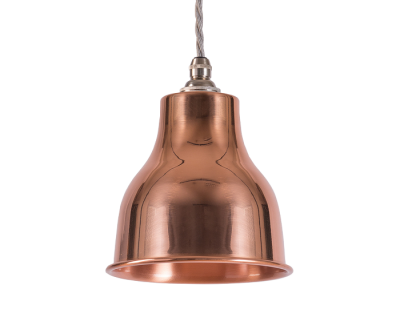 In the kitchen, our factory inspired pendants hang over the island, teamed with a large copper wall clock in the dining area. 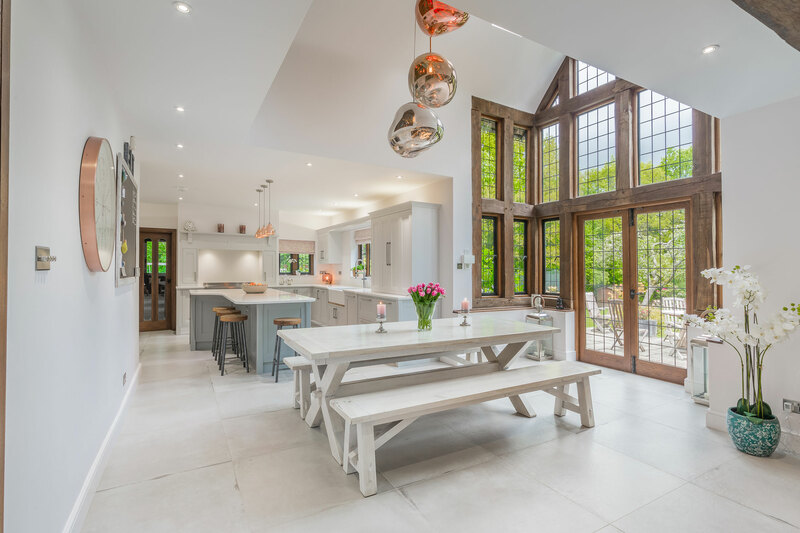 An oversized copper floor lamp also sits in the far corner of the living room; these copper accents throughout the space create a cohesive yet minimal look in this country house. 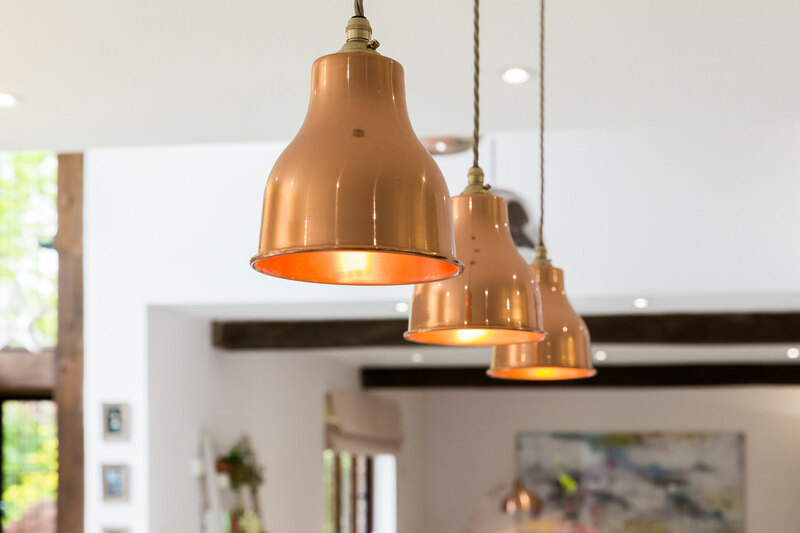 Our Small Factory Pendants are perfect for use in this kitchen due to the focused light they provide for tasking.